Visiting France always provides me with plenty of culinary inspiration. 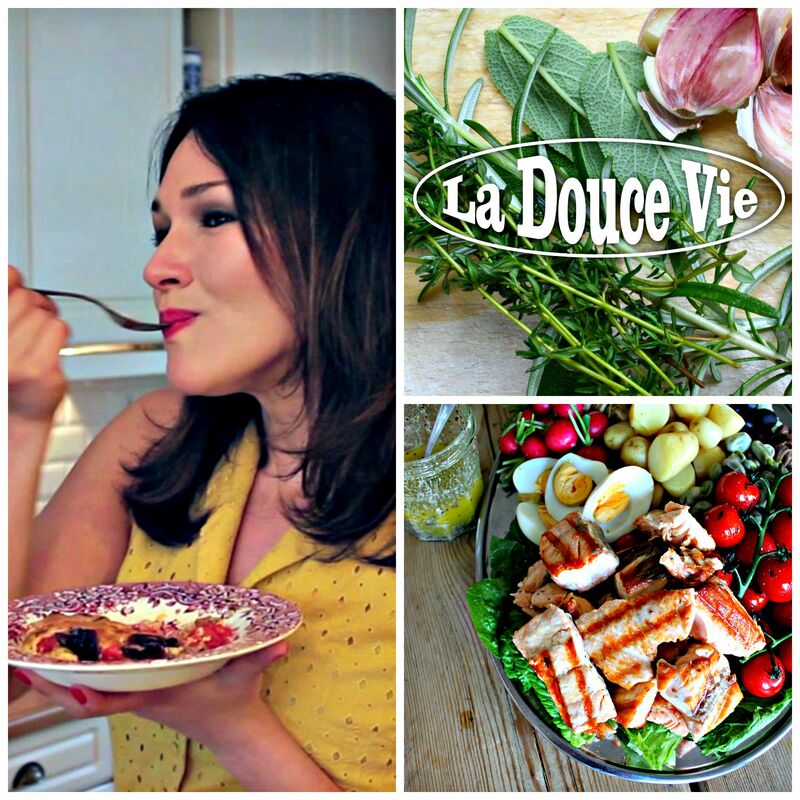 I came up with the following lavender recipes after returning from my travels through the Drôme Provençale. Note: The key to cooking with dried flowers is to use a light hand. That way the flowers enhance the flavour of food instead of masking it with their intense aroma. My favorite strawberry jam recipe reminds me of France and is my own little tribute to the summer season. A friend once said that it “tasted like Provence”. What a delightful compliment! 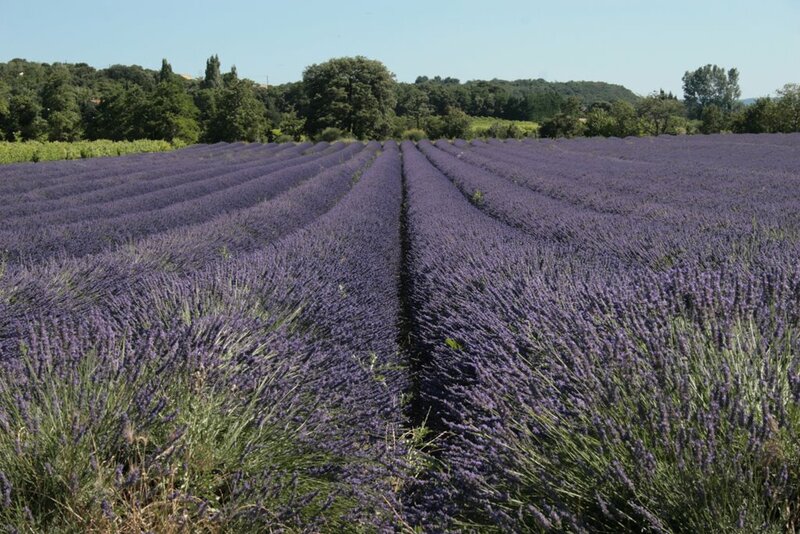 Perhaps it’s the addition of lavender, one of the most fragrant (and beautiful) gifts of summer, and a symbol of one of France’s sunniest regions. You’ll love the jam on summer mornings, spread over a toasted, lightly buttered piece of baguette and washed down with a nice bowl of French-pressed coffee. Note: make sure to use lavender that is safe for consumption! Sterilise your jars by boiling them. Cut the strawberries in half and place them together with the sugar and the lavender in a stainless steel pan. Mash them a little with a potato masher, but make sure you leave some nice chunks. You don’t want to mash the strawberries into a sauce! Add the lemon juice, stir and quickly bring everything to the boil. Lower the heat and allow the jam to cook for approximately 30 minutes, stirring frequently. You’ll want the jam to bubble away nicely, but make sure that the heat isn’t so high that it splatters everywhere. To check if the jam is ready, drop about a teaspoonful onto a cold saucer. The jam should be thick and immediately start to set. 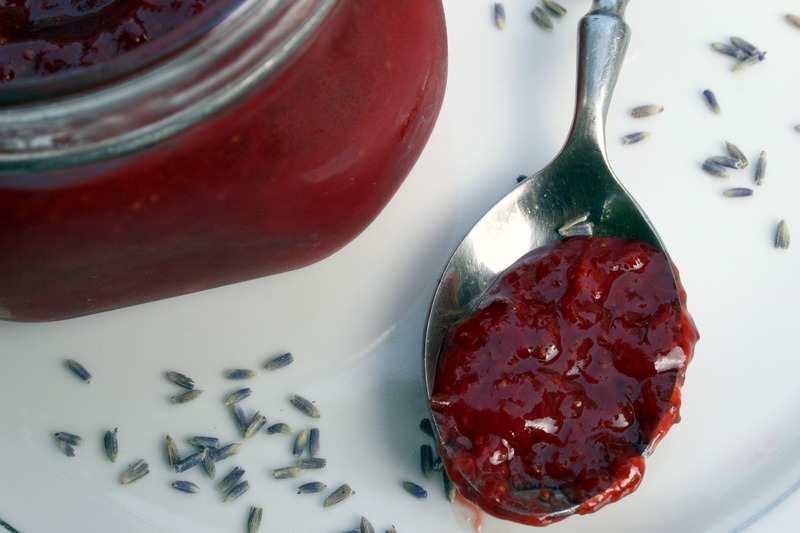 Transfer the jam to your sterilised jars and allow to cool before placing in the fridge. The jam keeps well when stored in a dark, cool place. 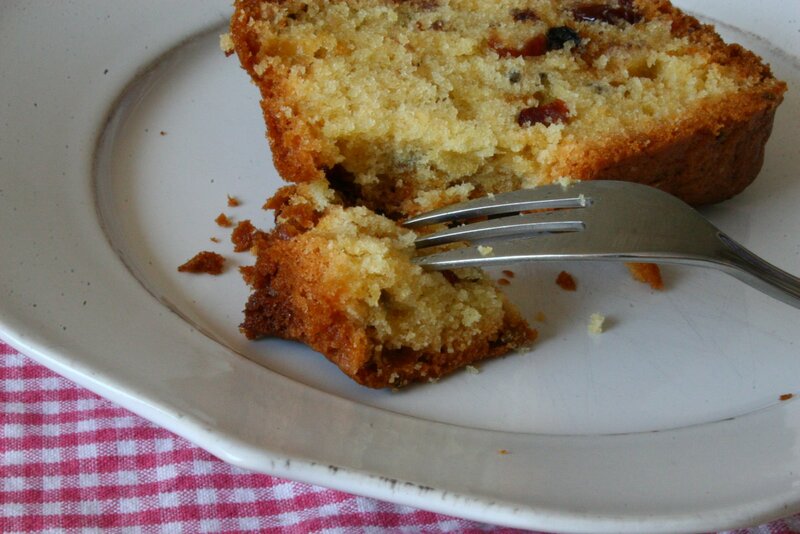 My version of this classic French cake is made with a good handful of dried red berries (cranberries, cherries or strawberries) and a touch of lavender. A beautifully scented, red-speckled, buttery loaf perfect for tea time, or any time! Soak the dried berries in hot water for approximately 15 minutes. Drain thoroughly. Preheat the oven to 165°C. Line a 28 cm rectangular cake pan with baking paper. Sift flour and salt into a bowl. Add the baking powder and the lavender and stir thoroughly. In a separate bowl, whip the butter and the sugar until light and fluffy. Beat the eggs in a small bowl and add them little by little to the butter and sugar mixture. Fold in the dry ingredients and the dried berries in two batches, stirring thoroughly after each addition. Pour the batter into the prepared cake pan and bake for about an hour and 25 minutes or until a toothpick inserted in centre comes out clean. Allow to cool on a wire rack before serving. 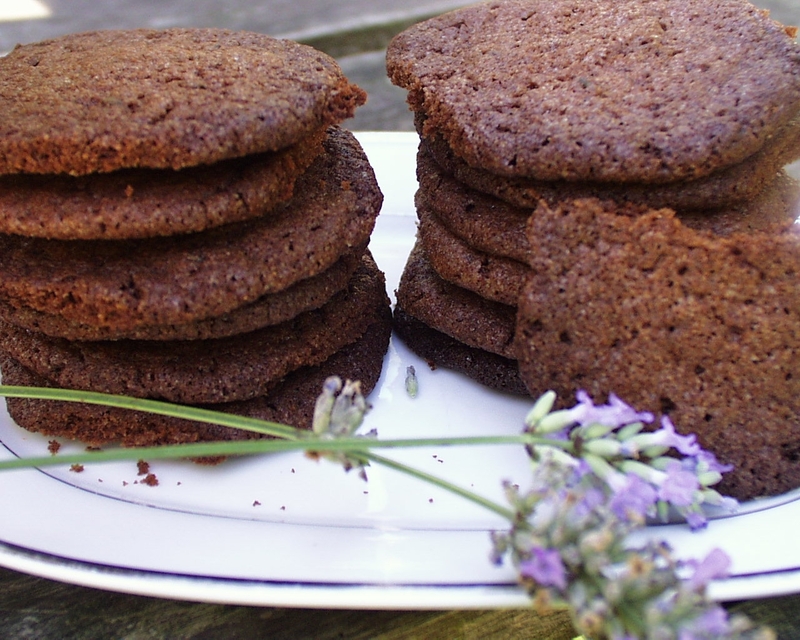 One tablespoon of dried lavender is all you will need to transform a simple chocolate cookie into something beautiful. I always store these thin, crisp treats in my prettiest of jars. But in all honesty, I’m afraid they never stay there that long! Preheat oven to 180°C and line a cookie sheet with baking paper. Cream the butter and sugar with a handheld mixer or standing mixer. Add the egg and continue beating. Beat in the flour, chocolate, salt and lavender, making sure that the lavender is evenly distributed. Take small teaspoonfuls of the dough and form them into fat, little discs of about 1 ½ inches in diameter. Place on the prepared cookie sheet about 2 ½ inches apart and bake for 15-18 minutes. Carefully transfer the cookies to a wire rack to cool. The cookies will be soft when they come out of the oven but will crisp while cooling.